If you are using WooCommerce to sell on WordPress you may notice a number of additional scripts loading on all pages of your site. Let’s tell WooCommerce to only load these on the shop pages and improve our page load speed. Do you have any elements on your site that depend on WooCommerce scripts outside of the main WooCommerce pages (shop, cart, checkout, etc)? This can be a cart element in your header or maybe some sidebar widgets found across your site. Do you have a testing environment – please don’t cowboy code on your e-commerce site! If you have all the necessary tools and knowledge in place let’s begin by examining which scripts we are removing from the non-WooCommerce areas of our site. Which WooCommerce Scripts Are We Removing? … possibly additional CSS depending on your setup. As you can see this is quite the list here. All these scripts can really add some noticeable load time to your site. A slower site leads to less visitors and ultimately less revenue. As well, some site owners may not like a meta generator tag telling more tech savvy users and robots which cart system they are using. Let’s examine how much additional load WooCommerce is actually adding to my specific test site. I ran my site through webpagetest.org to see the results without any script optmization. You can see from this test that the site is roughly 1.6 MB with 75 requests full loaded. This site is not on a powerful host so it’s load time right now is sub-par. We went from 7.2 seconds to 5.8 seconds load time… not bad. You can see that after optimization the requests have fallen by 9 from 75 to a total of 66 fully loaded. As well, the total bytes has also fallen and the site in now just about 1.5 mb is size. The number that strikes me though is the total load time dropped nearly 1.4 seconds. The load time, while still not optimal for this specific site, is better than it was without any script optimization and modifications. The best part of it, WooCommerce functions normally, my users will enjoy a faster site, and I hopefully will have some increased revenue. The following code is what I have in place to dequeue WooCommece styles and scripts. Since this is a theme specific functionality I recommend adding this to your theme’s functions.php file over a separate plugin. … here’s the Gist that the code above is pulling from. Once you have added the code refresh the source code for your non-WooCommerce pages. You should see all the scripts, styles and meta tag disappear. It should also load noticeably faster. If you need specific scripts like jQuery UI or FancyBox then you can comment out the specific lines dequeuing those scripts. Take notice of the conditional statements we are using: ! 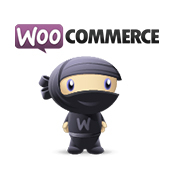 is_woocommerce() && ! is_cart() && ! is_checkout(). If you need to load WooCommerce scripts on your site outside the shop and checkout pages then you can easily modify this script to work for your specific situation. For instance, if you wanted to also load WooCommerce scripts on your homepage you would add !is_home to the conditions. Depending on how you are using WooCommerce it can be wise to take a hard look at optimizing it’s output. I’m a stickler for site loading and when plugins lump all their styles and scripts out globally it gets to me. I want my scripts and styles as clean as possible. I would love if Woo could further optimize their output. I understand that there are so many use cases out there that this may not make sense. I’m hoping this code has proved helpful for your site and brings down your page load speed. A special shout out goes to Greg Rickaby for his original code found in his article title Remove WooCommerce Styles and Scripts that I’ve slightly modified and improved. It is much better to combine and minify all scripts and styles into single file (one for each) and load them on every page because (a) multiple requests of any file size are much slower than one request of a larger file size, and (b) all subsequent requests will be returned from the browser cache thus being almost instantaneous. I totally agree with that. Perhaps a follow up on how we can do combine WooCommerce scripts with our site’s into one package? I have a plugin called Minit which does the concatenation and enables third party plugins to do the minification via a simple filter. It also async loads third party scripts (analytics, fonts, etc). However, it isn’t available on WordPress.org because it requires all styles and scripts to be properly enqueued via WordPress API. If you still want the drop-down cart contents to work on other pages, remove the following files from the exclude list: woocommerce, wc-cart, wc-cart-fragments. Worked for me! Does this need updating for WC2.1? Seems like a few things changed but I haven’t had a chance to take a detailed look yet. I haven’t had a chance to check this compatibility with WC 2.1+ yet… They did change a lot of items with the enqueue process so I’m guessing it will need updating. Glad you got it setup! I added this too and it improved my website speed – thanks! nice one – important to have that update as I could not get it working before. The above is now working on version 2.3.7. That’s just made a massive difference 12-13 seconds to 6 to 7 sec consistently! It seems that the code can not work in the page that inserted Woocommerce shortcode. Thank You for this fixed. My site went from 7 to 8s load time to less than 2. Could someone tell where I have to paste the code? Because if I paste at the top of function.php my site goes down. Put it at the end of your functions.php, make sure you remove the <?php at the beginning of this snippet though! Thanks for your answer. But remove what? 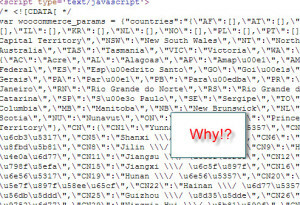 Sorry, it seems that disqus removes the code. Remove the opening php tag at the start of the code. Did that since beginning. Not sure where is the problem. Thanks Devin, this worked great after removing the “< ? php "
nice one, been having issues with ‘woocommerce_get_refreshed_fragments’ on non woocommerce pages eating up cpu during peak traffic, removing the scripts should resolve the issue. Perfect! Those scripts are super not necessary on all pages! Thanks! Thanks Devin! I will have to try this out… I had been struggeling with the bulk of files which are so unneccessary on many pages, reducing load time of the pages. Hi. It looked great, but I’ve put it in the functions.php, without the leading “?php” but it’s giving me loads of errors and crashed the site. Oh, this is amazing! This one simple fix took my client’s page load site from 5.42 to 4.01 (Pingdom). THANKS!!!!! Would love to buy you a beer, or coffee! I guess this code needs to be updated for the latest WooCommerce as its leaving behind the meta name generator as well as some stylesheets as well. Great article! It helped me out a lot with my custom woocommerce site. Unfortunately, the theme I use as a base for my site/store has a lot of woo customization files being enqueued on its own, as also I’ve got a few other third party woo plugins I really need to use that simply clutters everything by enqueuing their own files too. I think I’ll have to manage my own way to put all the scripts and styles related to woocommerce out of sight from non woo pages…Thanks for the tutorial anyway! question: instead of adding this into my functions.php of my theme, can I also your https://gist.github.com/DevinWalker/7621777 into my /wp-content/mu-plugins/ instead ? ah! that’s a neat plugin! Thanks for the tip! I was growing concerned over seeing ALL these scripts load on pages that don’t even have a product on it (ie. About Us, Contact Us, etc.). This works like a charm! Is it possible to join this to the other group? Can you please update this code for woocommerce 3.0.0 because stylesheets still loading. How do i create my own function and add this. Pl advice. Or shall i add in theme’s function php file.